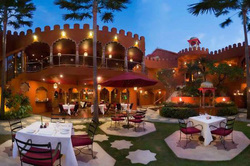 There are many dining options within easy reach of the villa. Local Indonesian "warung" food can be found everywhere. A selection of our favorite places include the following in approximate relative price order ($ to $$$$$), lowest first. Precise locations in Google Maps and links to the restaurants website where available are provided. Click the pictures to enlarge. Once you've found a restaurant on Google Maps, click on "Directions", enter "Villa Abadi Bali" as the starting point and you're route will be displayed. Not exactly a recommended restaurant (!) 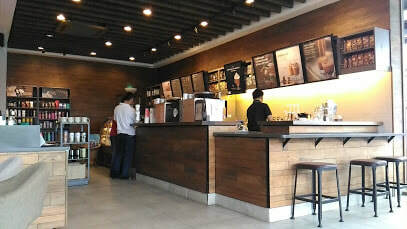 but if you’re in need of a fresh brew, our nearest Starbucks in less than 10 minutes away near Tanah Lot. 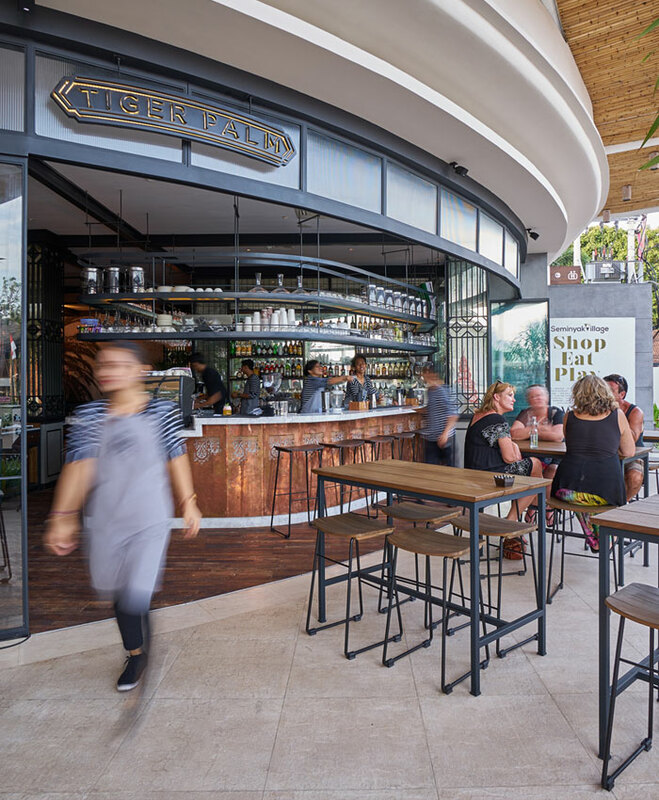 Just 5 minutes’ drive from the villa, Joshua District is a firm favourite of ours; serving high quality food at very reasonable prices from a restaurant set in converted shipping containers, with the added bonus of offering some of the best sunset views Bali has to offer. Note that Joshua’s doesn’t serve wine, but you can take your own and there is no corkage charge. They do sell beer, soft drinks, tea, coffee etc. Our favourites include the Tuna sashimi, chicken wrap, beef burger and their chocolate fondant desert is wicked! 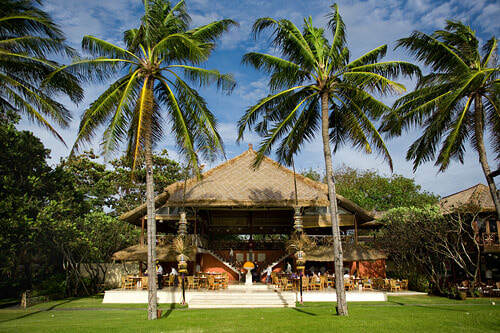 There are two branches of My Warung within easy reach of the villa, the larger one is in Canggu and there is a small one in Echo Beach. They offer a good selection of well prepared, tasty western and Asian breakfast, lunch and deserts in a very casual setting. Our favourites include the poached eggs & smashed avocado on toast and the French toast with banana & maple syrup. 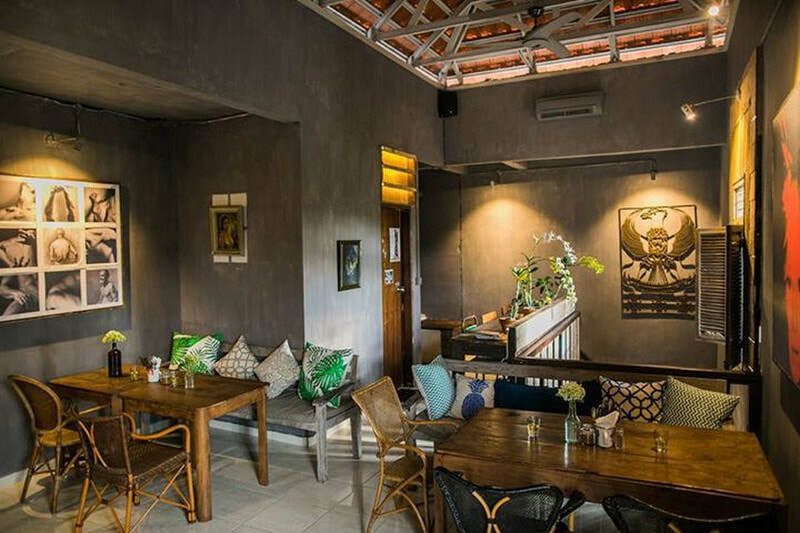 Bali Buda in Kerobokan has a small cafe serving a good variety of healthy salads, light meals, soups and drinks as well as not quite so healthy popular western & Indonesian favourites, pizzas and deserts. The deli is also one of our favourite stop offs for fresh bread and other baked goods but stocks everything from fresh baked pastries to dried fruit & nuts, vitamin & health supplements and all sorts of organic ingredients. Their locally made hummus is particularly good and the coconut & passion fruit tarts are amazing! 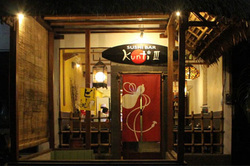 Also have branches in Sanur, Ubud and Bukit. 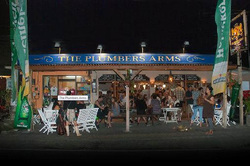 This is a British style pub in the village of Keraboken which is a 20 minute drive from the villa. It serves all the usual British food including fish and chips, pies as well as a large selection of sandwiches, wines and beers. Located a couple of doors along from Bali Buda and Kunti III. Our recommendations are the Sunday roast (although Jemme's is better), the Ploughman's Lunch or the Shepherds pie! Located in Kerobokan, 20 minutes from the villa, this small but perfectly formed Sushi and Japanese food restaurant serves the best sushi in Bali at very reasonable prices. Their Sushi sets are particularly good. They also have a takeaway and delivery service. 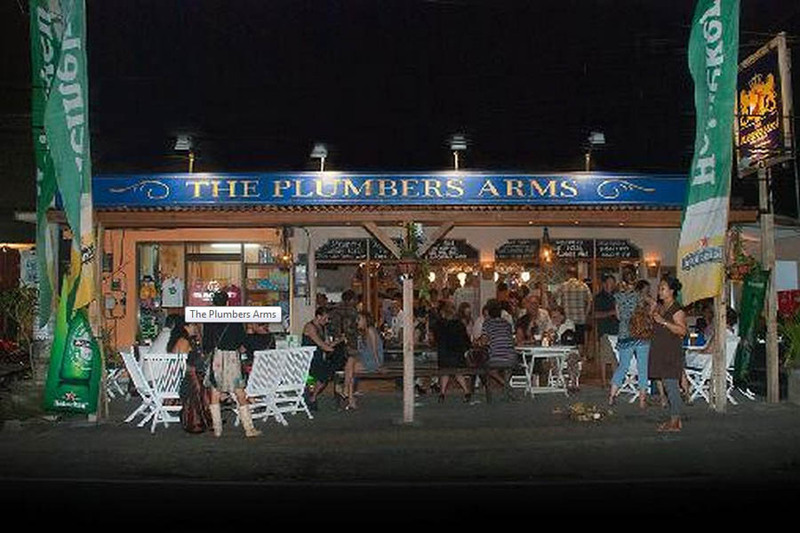 Located between Bali Buda and the Plumbers Arms. 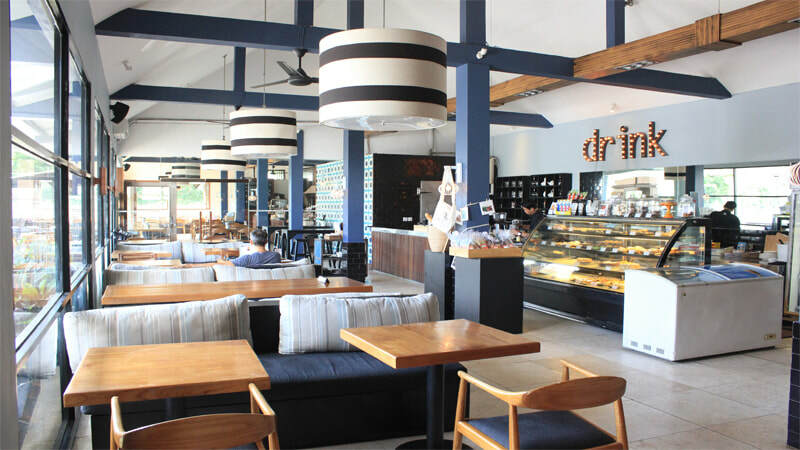 Grocer & Grind has long been a source of excellent coffee, deli and baked produce in Seminyak, Jimboran and Sanur and serves a selection of fresh pies, pastries, sandwiches, wraps, salads, pizza and Asian fare. All items can be taken away or eaten in the pleasant cafe or outdoor verandor. Try the tempura fish & chips, beef pho or takeaway a rotisserie chicken as a very tasty and convenient light evening meal. 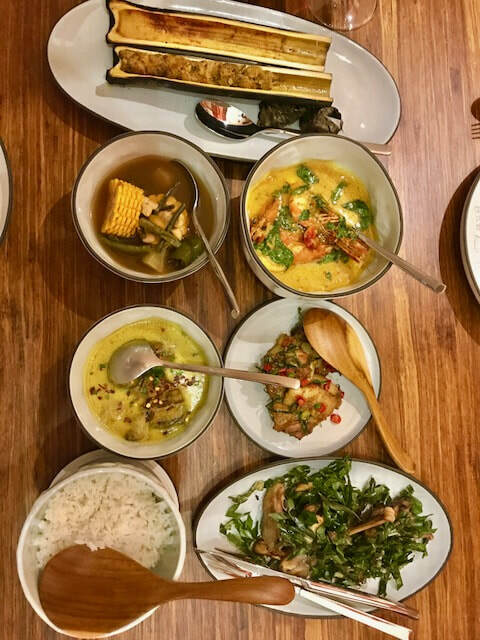 One of Bali’s most authentic HK/Southern Chinese restaurants that most westerners will also identify with as the Chinese takeaway style food available in places such as the UK & Australia. 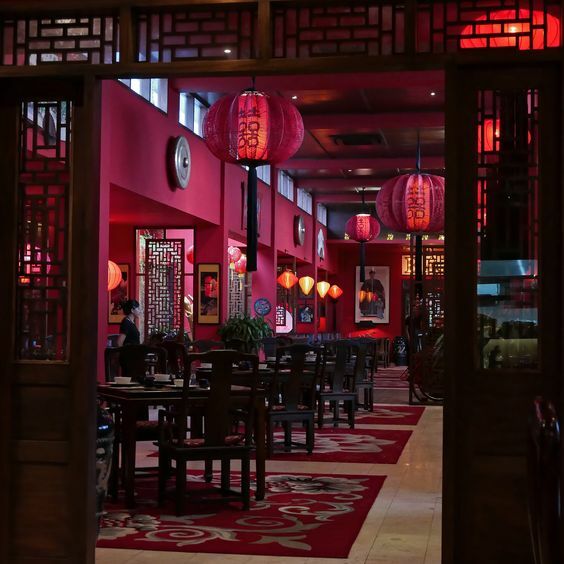 They serve a wide range of classic Chinese dishes from dim sum & dumplings to stir fries, crispy duck & a good selection of rice & noodles. Our favourites include the Xiao Long Bao (pork soup dumplings), pork & prawn Shu Mai, sweet & sour pork and salt & pepper chicken. Tiger Palm is a Will Meyrick restaurant, a well-known chef that specialises in creating his own take on classic Asian flavours. He also owns Sarong & Mamasan in Seminyak and Hujan Locale in Ubud. He is better known as the “streetfood chef” and has a regular TV series across the region. 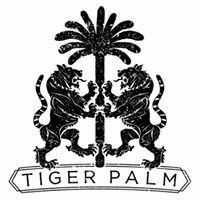 Tiger Palm is located at the entrance to the Seminyak Village Mall. It’s a nice place to grab lunch if you’re passing and does a good selection of very tasty Asian dishes with an emphasis on Malay cuisine. Our favourites include the pork & prawn siew mai, beef rending and the shredded beef arancini. 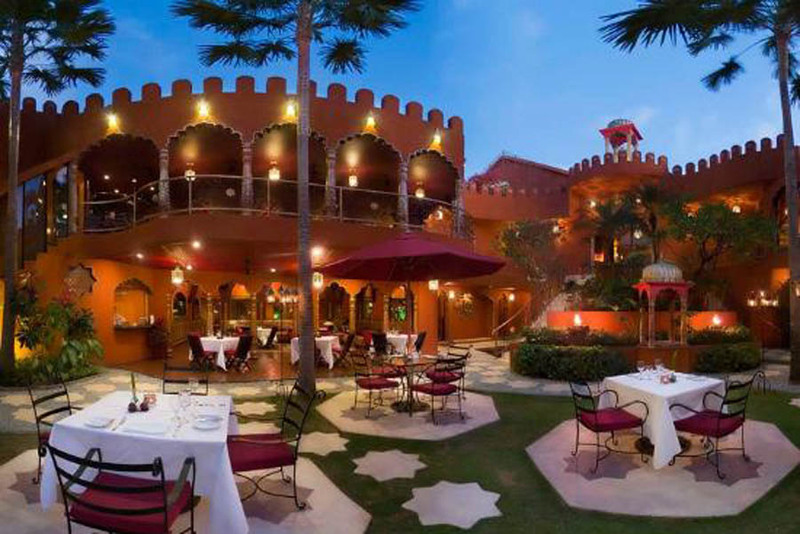 This Italian restaurant is based in a 2-story sala right on the beach and has very tropical views. Make sure you ask for a table upstairs to make the most of them. The menu isn’t huge and is freshly printed every day so you never quite know what they will be serving, but we’ve never had a dish we haven’t liked. Their selection of pizzas, pasta, salads and puddings are definitely worth a try. They also run Bambu restaurant. Unusual for having no logo & website! Search La Lucciola in Google. 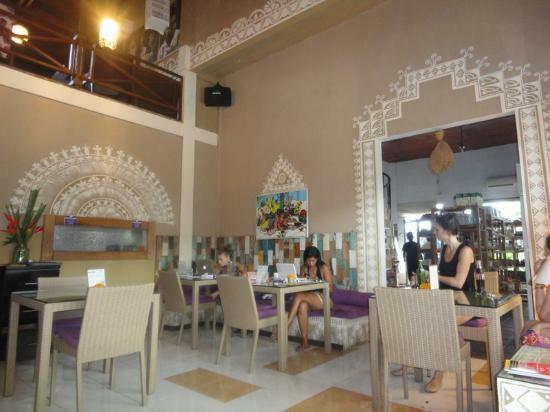 Prana is just across the road from Bali Deli in Seminyak, a great place for pre or post shopping lunch stop. Prana has a fairly small but nicely formed lunch menu consisting of Indonisien, Thai and western cuisine. Try the tapas sharing plate or the beef sandwich with haloumi cheese and red onion relish washed down with a Shiraz Cabinet. Also has a spa and gift shop where several peices from Villa Abadi have been sourced. 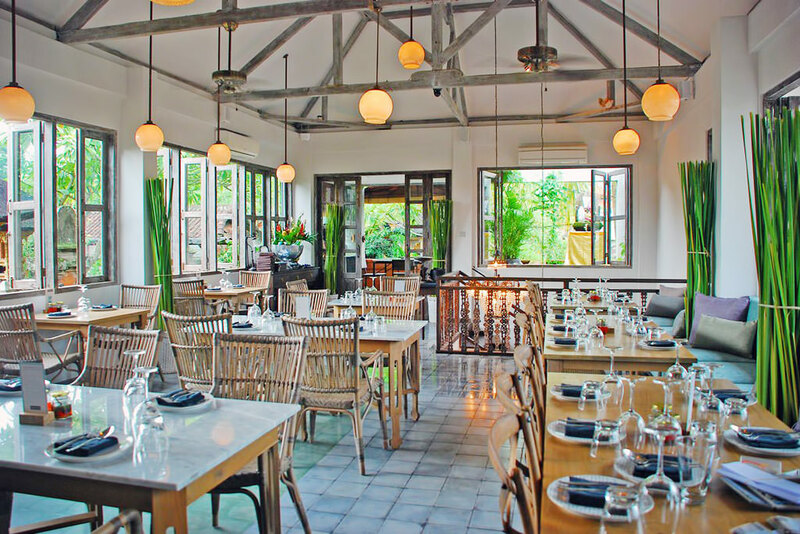 Will Meyrick's Sarong is a lovely restaurant, one of our all time Bali favourites without a doubt, serving a wide selection of Asian cuisine from one of the longest menus in Bali. Reservations are highly recommended as it is very popular, but online booking is easy. They also have gluten free, dairy free and nut free menus. 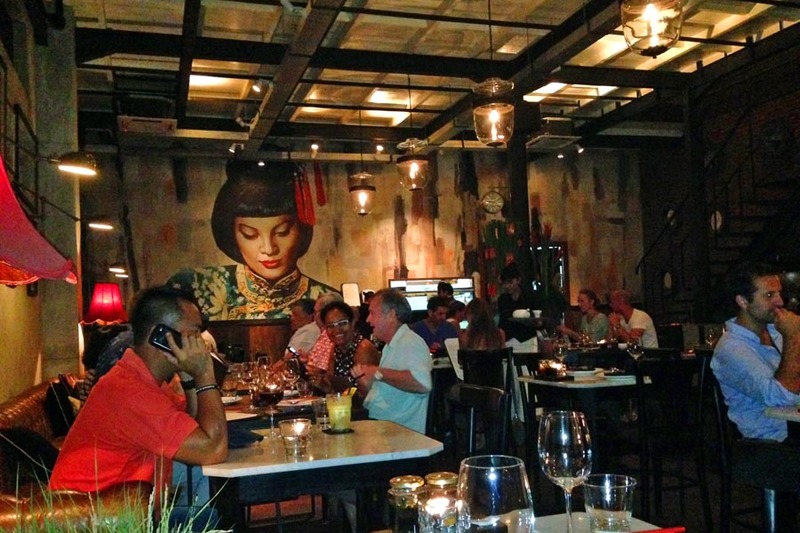 Meyrick also owns Mama San, reviewed below. 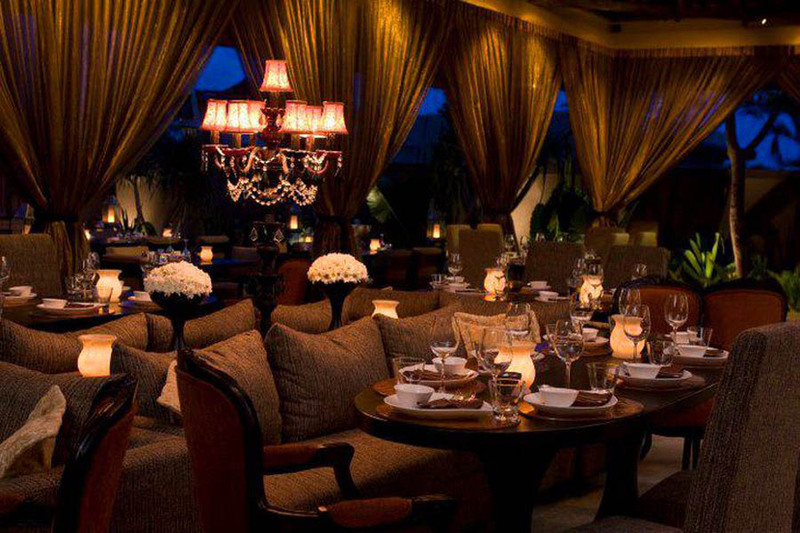 This great casual dining restaurant in one of our absolute favorites. 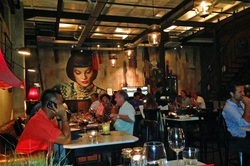 It's owned by Will Meyrick, the same gastro star that owns and runs Sarong and specializes in Asian flavors. Two things stand out about Mama San, firstly the entire "Asian Bites" menu(!) and secondly, the great value, with dishes starting at around US$5 and peaking at around US$15++. Our top recommendations are the Pork & Prawn Siew Mai and Snapper Dumplings - you simply cannot afford to miss these, but the Char Sui Pork, Stir Fried Prawn with Chilli Jam and the Banana Cake are also very good indeed. 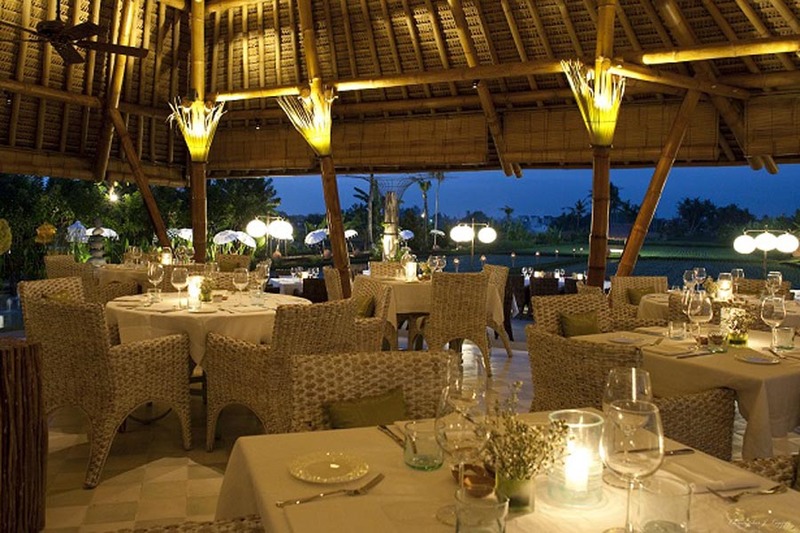 Sardine is a charming restaurant located in a large bale overlooking paddy fields in Kerobokan. As the name suggests the menu is fish focused but they also serve a selection of other classics such as steak. Metis and Sardine are located together on opposite sides of the road. 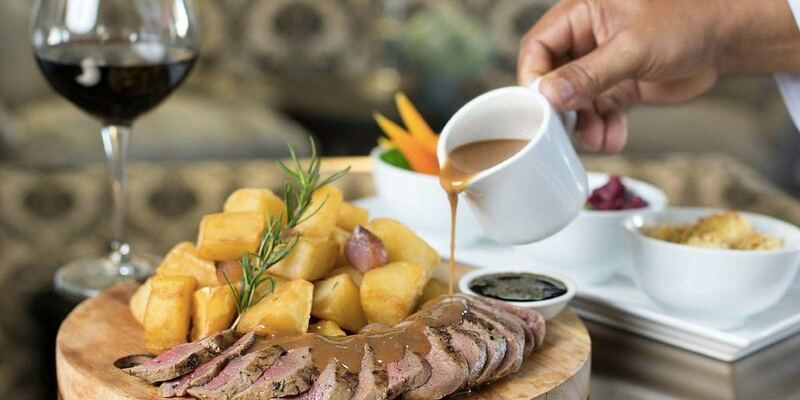 In our opinion, Jemme offers by far the best “Sunday roasts” in Bali, which they also serve on Wednesdays as well as Sunday. There is also an excellent a la carte menu which is available all week. The roasts offered are pork, beef, lamb, chicken & nut and are all noted as “for two” but single portions can also be requested. Our favourite roast is the pork (with amazing crackling!) and from the a la carte menu, the duck pancakes, seafood chowder (but it’s quite filling), baked Barramundi with chorizo crust and the moist chocolate mud pudding. They also have an expensive jewellery store – you have been warned! 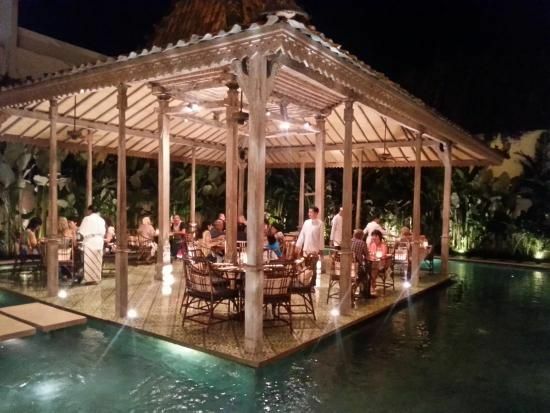 Bambu is one of the most beautiful restaurant settings in Bali, with a “floating” sala surrounded by water that looks superb during the evening. 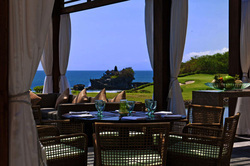 They have a restaurant and bar that serves a selection of regional Indonesian dishes prepared by chefs from each region. The spice levels in each dish can be varied according to taste. Our favourites include the soft shell crab started, Muslim lamb & date curry and Bubu Manis (rice pudding). Bambu is owned by the same group that own La Lucciola. 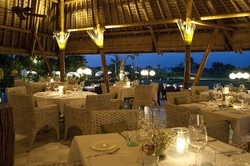 No website, search Bambu Bali in Google. July 2017 saw the end of an era in Bali with the Pan Pacific closing its doors, to be redeveloped into a 6 Star Trump Hotels Resort. We will update details as they become available as the new resort is sure to inherit the prize for best sunset view of Tanah Lot with a cocktail! 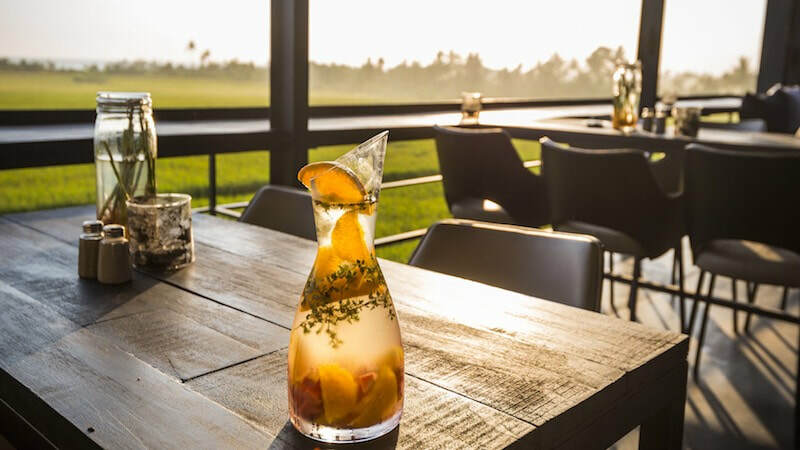 We've included a few other restaurants and areas that are close to the villa where we have previously had good food in pleasant surroundings, but which have undergone some changes since we last visited. Whilst we can't therefore give our usual total vote of confidence reviews, if you're looking for something different a short drive from the villa these might hit the spot. Ubud is just 28km from Villa Abadi and the majority of the drive is through rice terrace and countryside scenery making for a very pleasant journey. We have never been to Bali without visiting Ubud at least once as although the centre of the town now tends to be quite busy it's still quite easy to find quieter unspoilt spots where you can take in the slower pace of life. 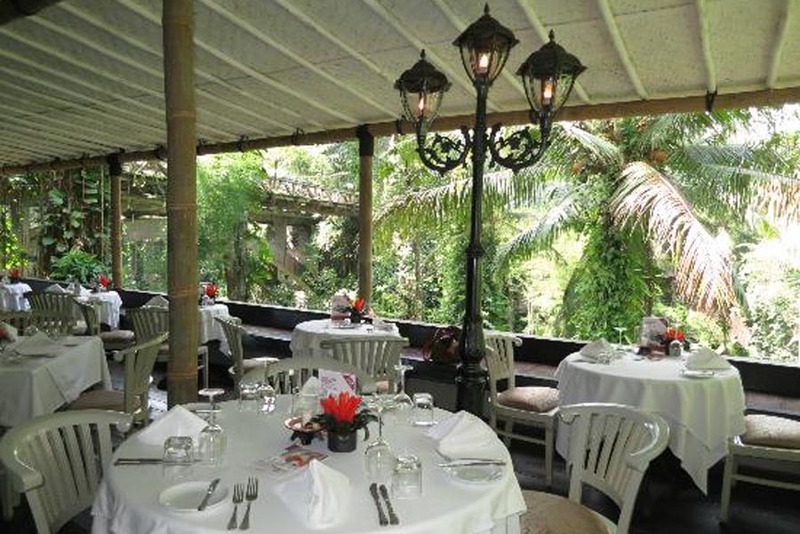 Part of the joy of Ubud is the restaurants and we have added a few of our favourites here for your perusal. A good central launch point from which to hit the towns shopping hot spots freshly fueled on caffeine! 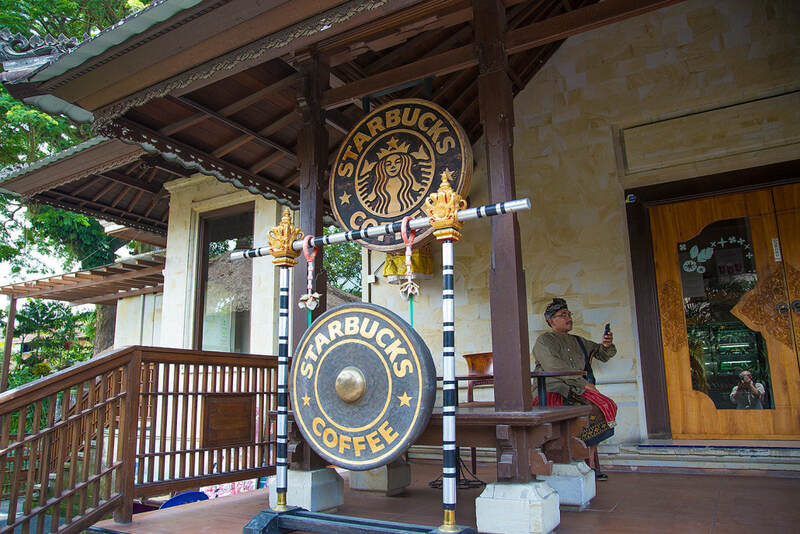 It's one block away from Ubud palace and the main market. It's also right next door to Cafe Lotus, so take your choice. 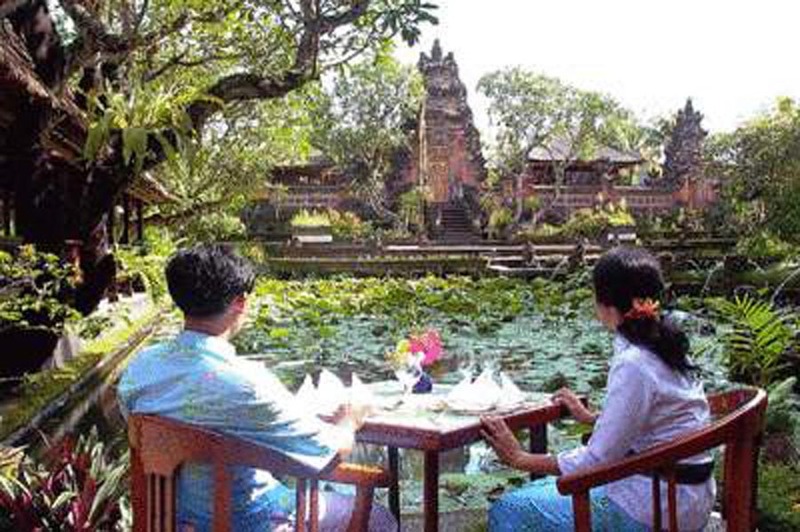 Cafe Lotus is right in the heart of Ubud and, as the name suggests, it's located right on the edge of the lotus pond belonging to Pura (temple) Sarawati. It's covered terrace is a great place to take light lunch or a snack whilst looking out onto the lotus pond and temple beyond. Serves a good selection of Indonesian and Asian favorites such as Nasi/Mie Goreng, Sambal Udang, Sate and Makanan Ringan (or Bali Tapas) etc with a few western dishes as well. Our favorites include the Red Prawn & Shrimp Curry and the Nasi Goreng. 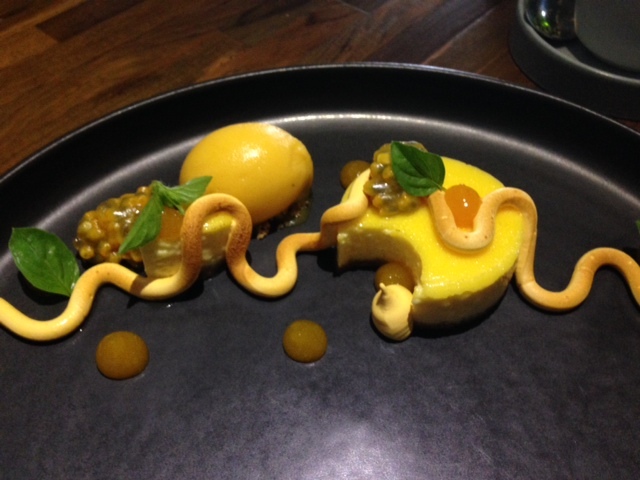 Another Will Meyrick restaurant, this time focusing on sourcing ingredients from the surrounding area, used to create dishes from around Indonesia. Make sure you ask for a table upstairs where there’s normally a nice breeze and pleasant views of a small temple. The menu changes regularly, but our advice is to jump in and try at least one dish that you’re not sure about! Their Asian favourites such as the sate and rendang are always delicious, but dishes like Chumi Chumi (prawn stuffed squid) and crab curry (the whole crab is a bit of a faff though!) are very tasty indeed. Opened in July 2017, this is a sister restaurant to Locavore (see below, very nice but perhaps just a tiny bit pretentious). Thankfully, Nusandara hasn’t inherited this trait and we were very pleasantly surprised by the amazing flavours that the team created. We recommend trying a selection of small plates as well as the main dishes as these had some of the best flavours. We loved the sambals and the spring chicken was the best we have ever tasted! At the time of writing, Nusantara is not currently on Google Maps, it's a 5 minute walk west from Locavore along Jl Dewisita on the left hand side. Always high up on TripAdvisors top restaurants in both Ubud and Bali, this high end eatery serves beautifully presented, professionally prepared food, way up there with the best we've tasted in Bali. We started with the strawberry and rhubarb seasonal infusions, accompanied by complimentary amuse bouche of tempura spinach leaves, crispy mini-breads and fish mayo, which were a very tasty way to start lunch. Starters were octopus terrine with pomelo & chorizo, bisque crustaces with seafood sausage and chicken liver mousse with rhubard and melon. The octopus and bisque were absolutely divine whilst the chicken liver mousse was good, but sadly far too small to taste, lost amongst the fruit. We had Barramundi a mariniere, Catch of the Day (snapper in crustacean sauce) and chicken 2 ways (confit & the best chicken sausage we have ever tasted!) for main courses, all of which were absolutely gorgeous. We just about managed Looking for Passion (pictured) and Chocolate deserts, which followed through nicely, exquisitely presented and very tasty. If there was one other slight issue, the ginger tea simply didn't work, far too mild in taste and missing any sort of ginger kick that we hoped for, but a minor point and certainly not sufficient to deter us from coming back again soon. Booking is essential as Locavore only seats around 30 and is regularly fully booked. Lovely restaurant, set on multiple levels of the bank of the Campuhan river with views of the 2 river bridges (old & new), is a nice peaceful place to sample some fine casual food after the throng of Ubuds markets and streets. The caramelized Laksa Prawn could have done with a little more kick, but the combination of flavors worked really well. Around the table we had Thai Style Barramundi, Salmon coated in Pumpkin, Roasted Baby Chicken and Fettuccini with Pesto, all of which were well prepared and tasty. The Cointreau mousse with meringue and blueberry cream was amazing with the Tamarillo Apple Crumble following close behind.